Originally published during the centennial of the battle, I revised it in 1998, The slim paperback (124 pages) did not have much competition when it was revised. How times have changed! The tour (following the Park Service’s numbers) is at the beginning of the book, followed by a more expansive history of the campaign. It also has a pretty good Order of Battle with strengths and losses down to the brigade level. Peppered throughout the book are a number of maps, which were in the original book. I also added after-battle photographs and contrasted them with current ones taken at the same spot. One caution if you use it, and I hope you do, as I still think it is quite good, is that the starting point of the tour has changed. It starts off at the old Visitor’s Center on Taneytown Road and takes you down Middle Street to Reynolds Avenue. If you start at the new Visitor’s Center, simply head toward the Square and make a left onto Middle Street and head over to Reynolds. This was my first book. Well, not really. As indicated in my biography, my interest in the Civil War was reignited when I returned to the Philadelphia area in 1993. 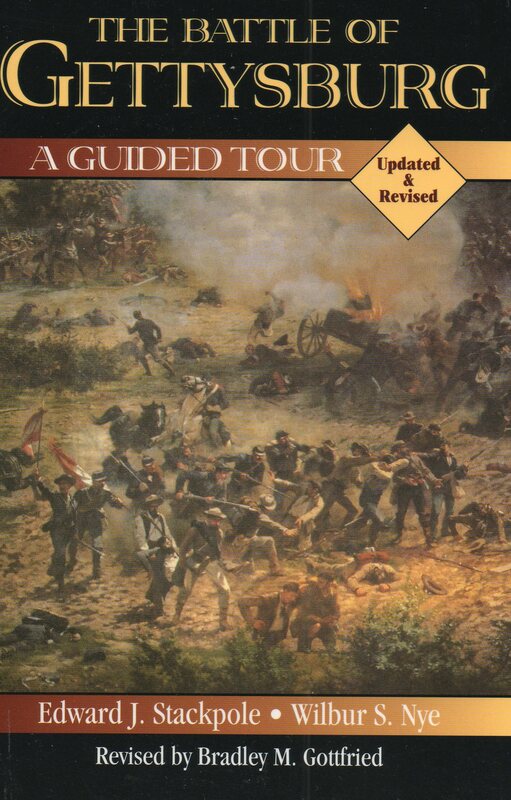 I took a trip to the Gettysburg battlefield and was shocked to find so few tour books. I recalled that Stackpole had published a guide during the bicentennial so I pulled it out when I got home and thought it was pretty good…it simply needed updating. I called the publisher and spoke with an editor who had no clue what I was talking about. I guess my idea had some merit because she went into the “vault” to pull out a copy. She agreed to allow me to revise it and even gave me a fat advance (that was the last one I received until my Maps of Antietam book). I was floored! I had no experience in writing history, but here was my opportunity. I dove into the project and found that the writing style was so archaic that I had to rewrite the entire book. I also added period photographs, contrasted with current ones to show how much/little the battlefield had changed over the years. Stackpole actually printed 10,000 copies of the book with the understanding that I would not see a royalty until they had all sold. I periodically get a small check, so they must have sold all of the original copies. It is in its third printing.